Whether we like it or not, technology finds its way into all parts of our lives. From entertainment to health to home security, electronic devices are there to make things sound better, encourage us to do better, or just go out and have fun. We’ve got a variety of tech devices that could work for a wide range of people on your holiday shopping list. Unfortunately, there are no jet packs yet, but there is something that will make you feeling as if you are flying in space. When it comes to headsets, there needs to be a balance between performance and comfort for gamers who need something for the long play. 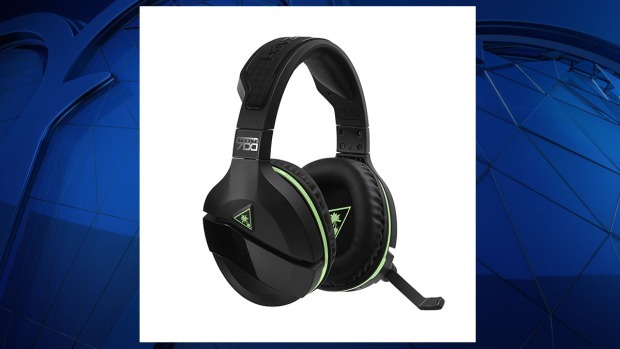 Turtle Beach Stealth 700 puts both together for a powerful headset that you will want to wear for hours. The 700 for Xbox and PC also uses Microsoft’s Xbox Wireless technology to directly connect to the console, which means no more dongles sticking out of the Xbox. The 50mm over-the-ear speakers provide clear, crisp sounds in games, letting players feel surrounded by the action instead of just what is in front of them. Turtle Beach has a Superhuman Hearing feature that increases important noises in a game like soft footfalls or a weapon reloading. For comfort, the 700 is outstanding. They are extremely lightweight and have just enough tension not to feel like your head is being crushed. Whether your gift recipient is a streaming pro or just someone who likes to be heard during their podcast, the Blackout Spark SL from Blue is a great microphone that would thrill any gamer or streamer. The Blackout Spark is designed for a wide range of recording sessions. The microphone pattern is designed to reduce background noise and is the perfect choice for a single speaker. Filters eliminate computer or console noises, while an inhibitor will help keep voices clear during the most intense battles. If providing a clear and quality listening experience is key for your recordings, the Blackout Spark will upgrade any streaming rigs or home recording studios. For musicians, the Spark works well with acoustic or electric guitars, drums, wind instruments, pianos, and bowed instruments. Experiment with placement to get the best results. It has an XLR connector, so you’ll need something to connect directly to a computer. The Icicle converts the XLR to a USB and acts as a pre-amp for the Blackout Spark. It works with Mac and PC computers without hassle, and it doesn’t require driver installations. It seems everyone wants to know what’s going on in their house when they aren’t there. From home security to detect threats to keep an eye on the family pet, internet cameras are becoming more prevalent. But which to choose? If you want something a little secretive while standing in plain sight, the Canary All-in-One looks like a simple black cylinder but packs a wide range of sensors to keep you in the know about the conditions inside your home. There is a high-definition camera to capture any movement, an air monitor that lets you know what the temperature and air conditions are like, and a remote-activated siren to frighten unwanted visitors away. There is no physical installation involved. Just set the Canary on a shelf or table, plug in the power, connect to the internet, and you are done! The companion app lets users watch live with their camera and record video when something happens. It also lets people call for help from the app if they see a situation in their home. 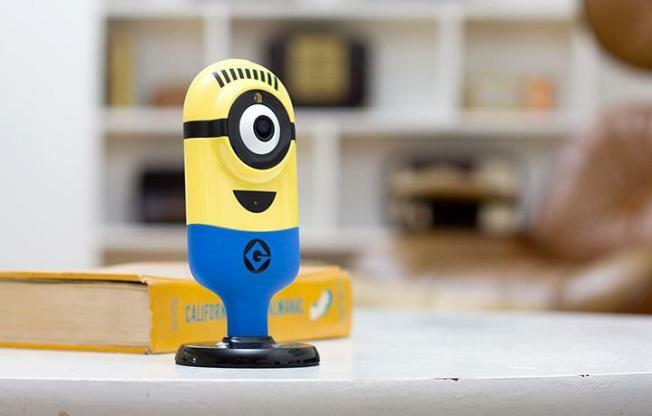 If you want something a little more whimsical, the Minion Flexi Cam provides live video streaming, night vision to catch those nocturnal activities, two-way audio and motion sensor capabilities. However, it also brings a Minion into your house, complete with catch phrases and a bright yellow face. The camera is small and unassuming. If not for the bright yellow cover, it could very easily be overlooked. However, the look of a Minion isn’t nearly as much fun as the voice of a Minion. You can have the camera say one of the Minions’ many famous catchphrases from their movies with the push of a button. If you have your own saying, use the microphone’s filter to make your own voice sound like a Minion. While obviously useful as a security camera, the motion detection can be tuned to record only pet movements. The night vision function also spies on your pets’ activities while you are sleeping. The flexible mount allows for multiple viewing angles from one location. All monitoring is done through a smartphone app for peace of mind even when away from home. The trend toward vertical desks was intended to help with posture and alleviate back issues caused by sitting so much. Why not apply that to your computer mouse? Evoluent offers the VerticalMouse 4, the perfect gift if you know someone who is on the computer and complains about wrist or arm pain. The design of the mouse puts the forearm in a neutral position instead of a twisted position for a normal mouse. While it might seem a bit weird, the configuration of the buttons makes it very comfortable to use. It is like you are shaking hands with your computer though the VerticalMouse. The six-button design is great for designers or gamers who want to program their mouse for their work. A small USB receiver plugs into the side of the computer, eliminating wires to the mouse and creating a greater freedom of movement for the user. It is a great gift to show someone you care about their physical well-being. Any “Star Wars” fan has always dreamed about flying in space in the same T-65 X-Wing fighter that Luke Skywalker used to blow up the Death Star (the first one). Propel’s officially licensed “Star Wars” drones let anyone take control of a X-Wing, TIE fighter, or speeder bike. Even before you can take to the sky, special packaging majestically plays official music from the movies to herald the arrival of your drone. The box also doubles as a display stand, complete with lighting from below to accentuate the details of the X-Wing. The power is in the performance of the drone. There are multiple speed settings to get beginners up and running quickly, and hot buttons help pilots before aerial stunts with ease. Auto starting and auto landing help protect your ship during liftoffs and landings. Pilots can also gather with friends and activate their “weapons” for a virtual dogfight in the sky. Collisions are not encouraged, but the vision of X-Wings and TIE fighters in the air and battling is enticing. Make sure to adhere to all laws regarding drone flights. Fitness watches are moving toward looking more like regular time pieces than outlandish wrist tech. G-Shock offers a new look with upgraded technology to help your gift recipient to be stylish and healthy. The new S Series Ani-Digi Step Tracker automatically keeps track of steps but also offers different display readouts to help anyone keep on pace. A non-active alert keeps people moving toward their goal. A hand shift feature moves the clock hands out of the way to provide a clean view of the digital health display. However, it is the G-Shock style that makes this more than just a fitness tool. The watch is water- and shock-resistant with a bright LED light, dual time, daily alarms, stopwatch and full calendar to 2099. It also has a 3-year battery life to keep you charged. There are four new colors of mint, pink, white and classic black, each with white face accents, in addition to colors associated with military styles, olive green, tan, and dark grey. Other colors from G-Shock’s past are also available. Since the Dinobot characters in the “Transformers” cartoons in the 1980s, the merging of dinosaurs and robots has always been a source of joy for kids and grown-up kids. Robotosaur lets you control the action while also providing some autonomous responses all on its own. The robot that resembles a Tyrannosaurus Rex stands about 10 inches tall and is ready to command. With its remote control, kids can make it move across the floor with spins, shakes, stomps and tail wags. Built-in sound effects help increase the enjoyment. However, the Robotosaur can get tired, and it will yawn when it is ready for a nap. While in sleep mode, it snores and lets everyone know that the king of dinosaurs needs its beauty rest. Powered by two AAA batteries, the Robotosaur is ready to make its presence known while remaining under your control. The fun will not go extinct.